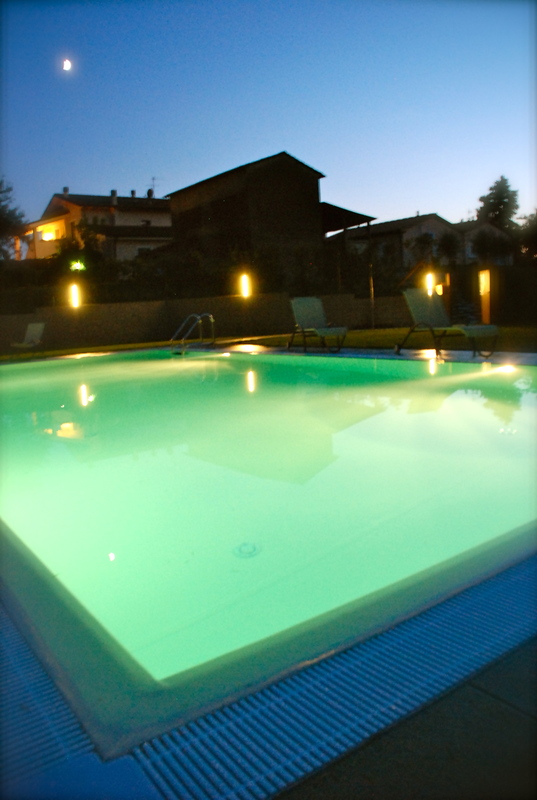 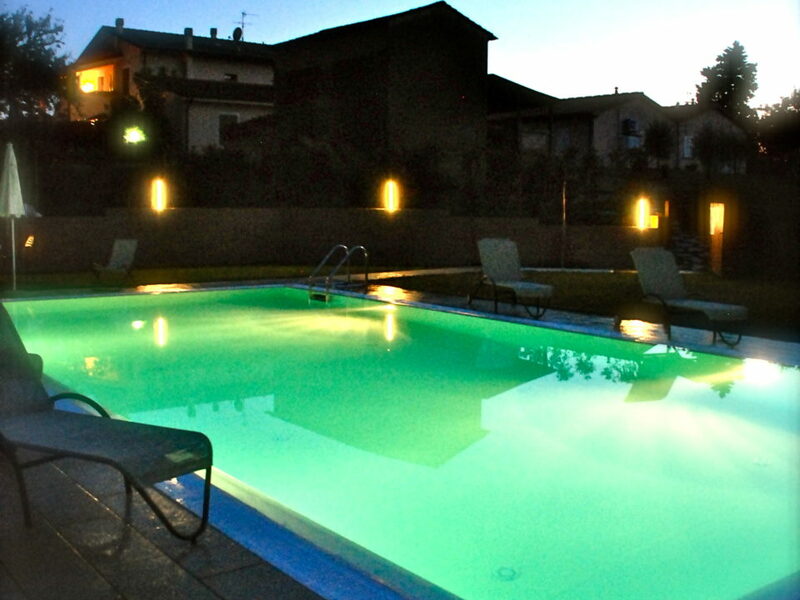 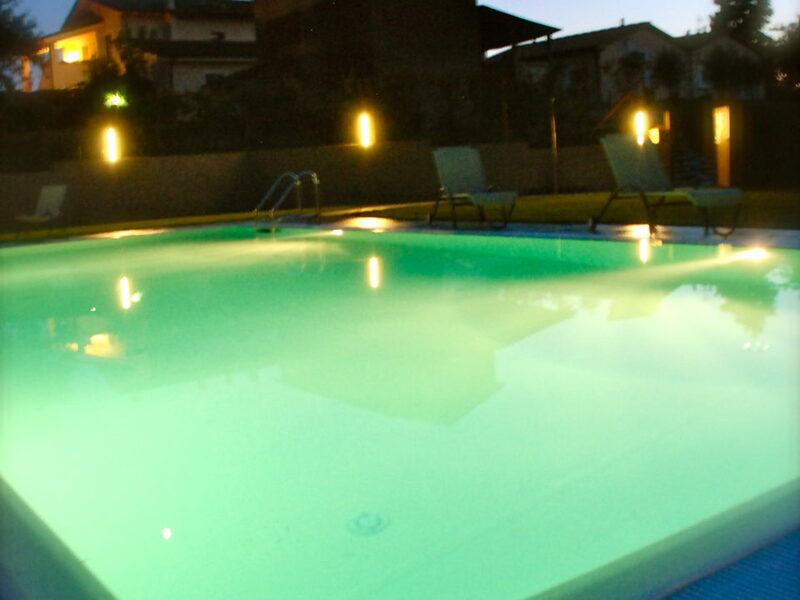 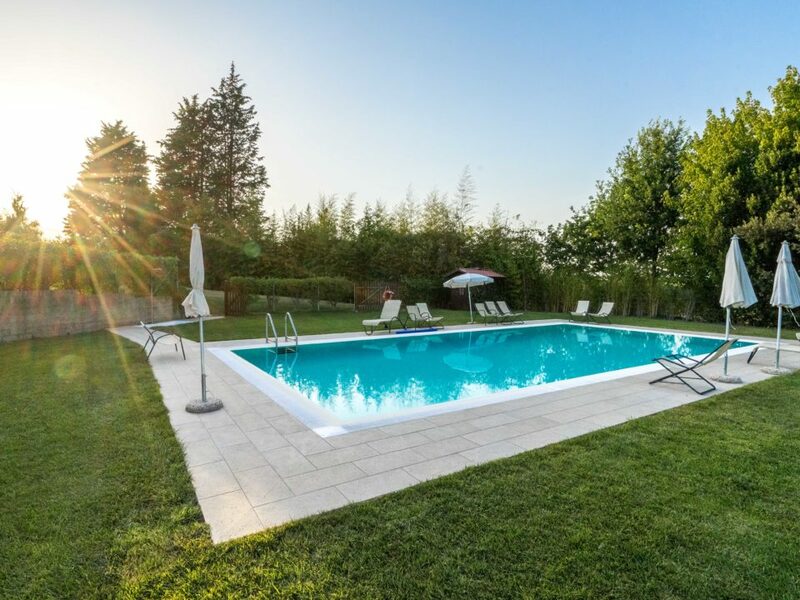 The swimming pool of the holiday home Il Gallo is built on an area of 12 meters by 6 meters, it has a depth that goes from 1:40 to 1.80 mt and is infinity. 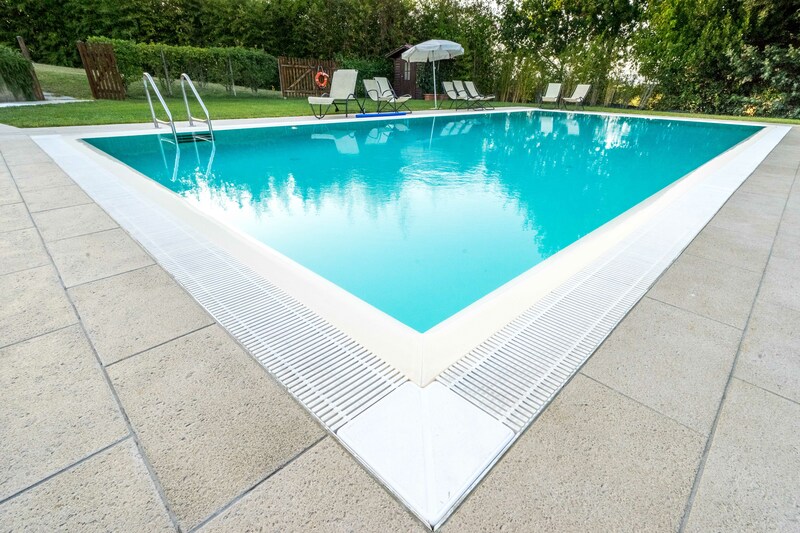 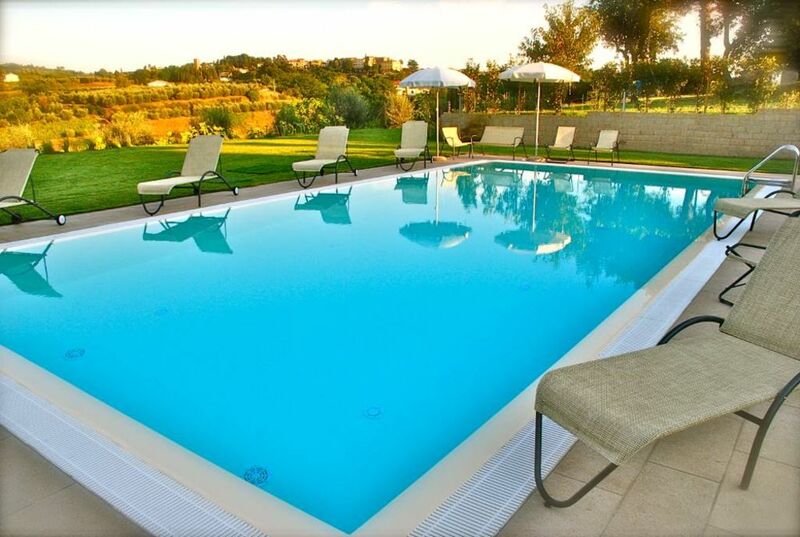 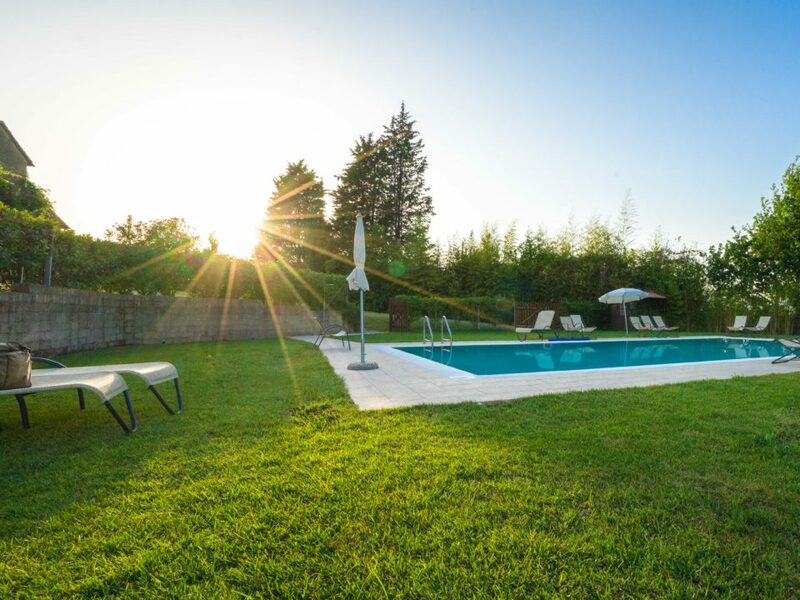 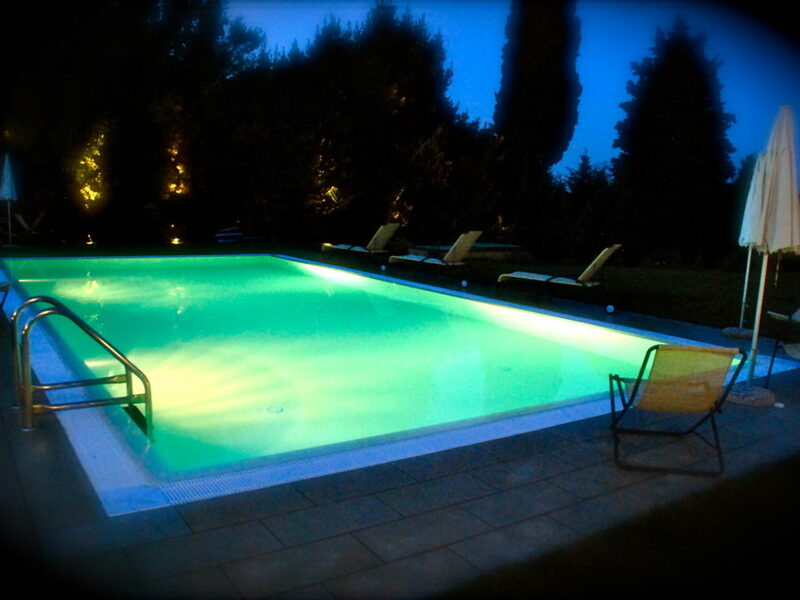 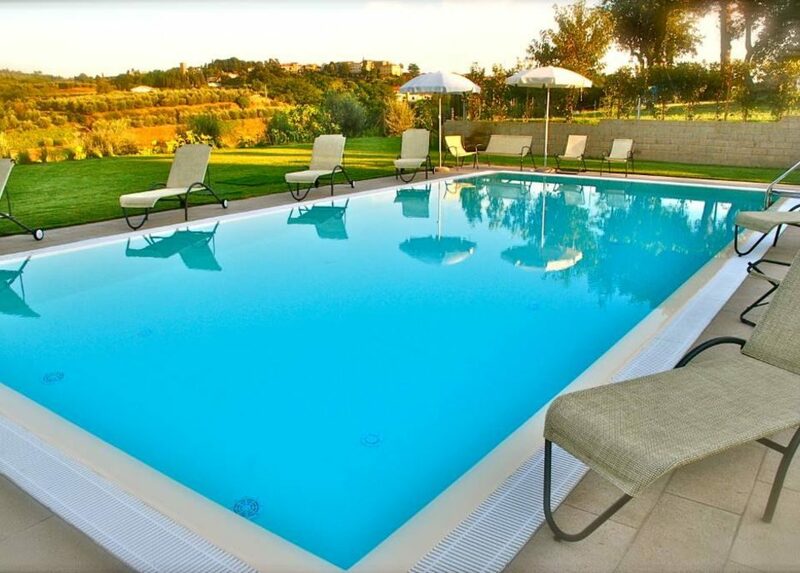 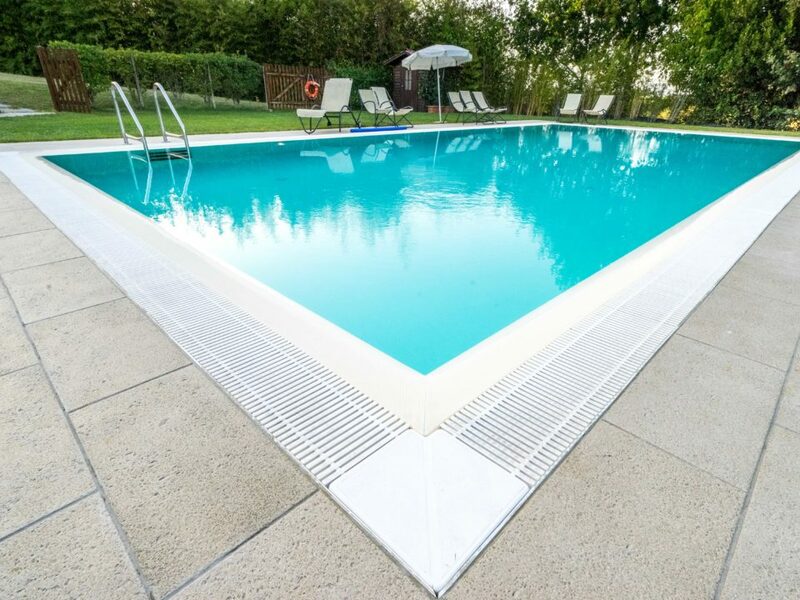 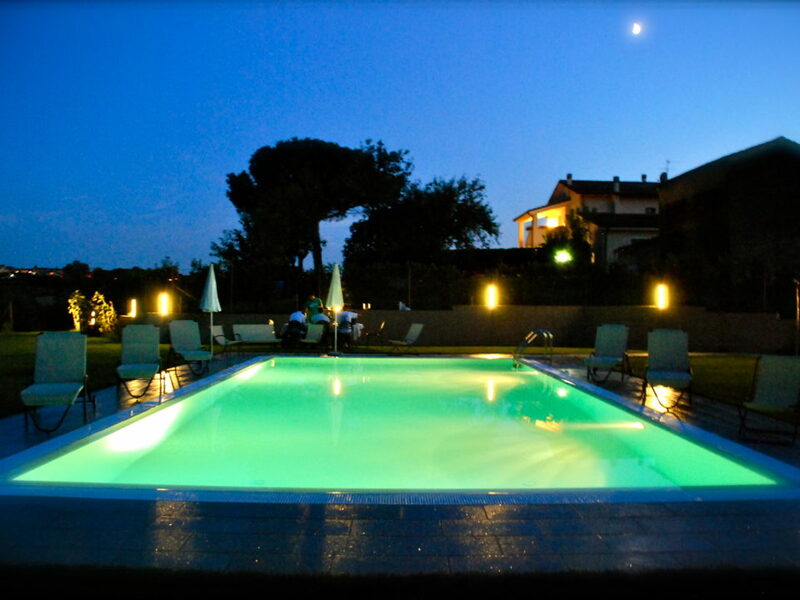 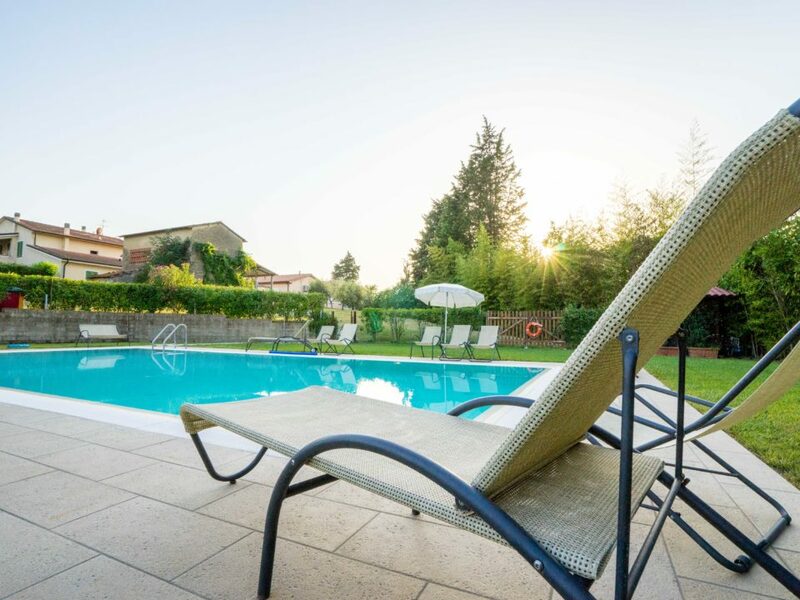 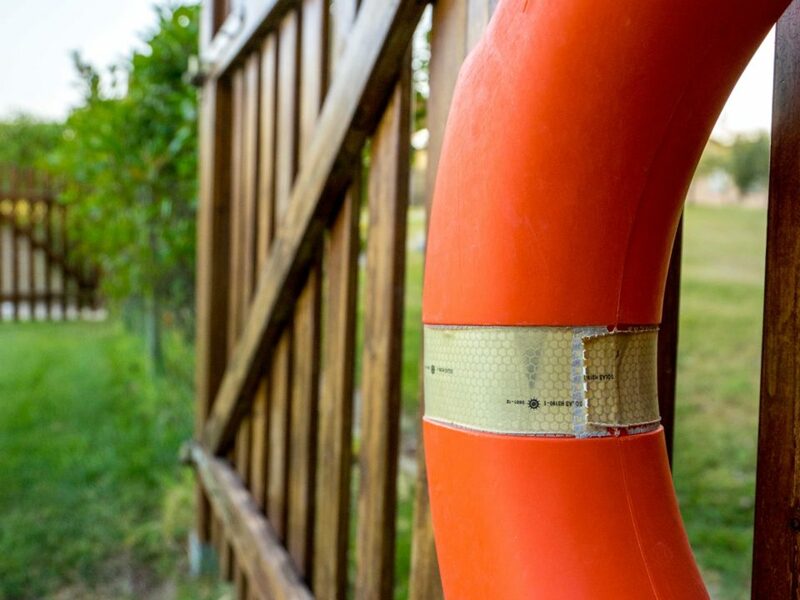 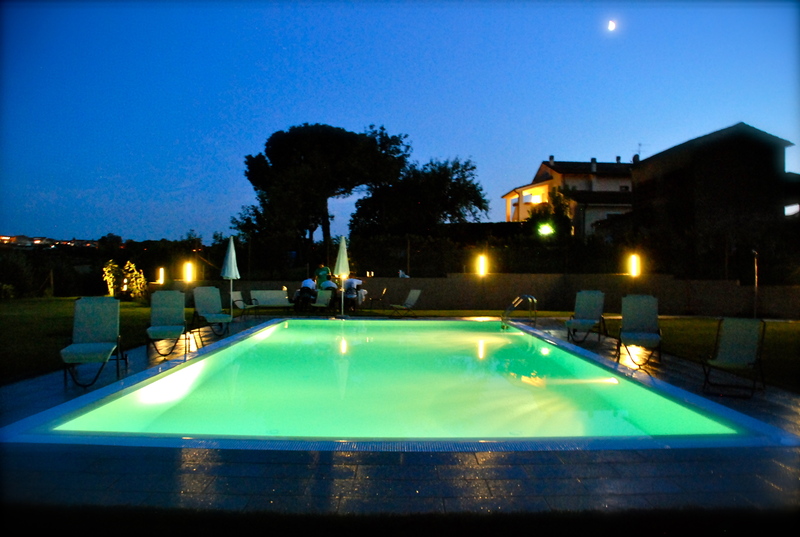 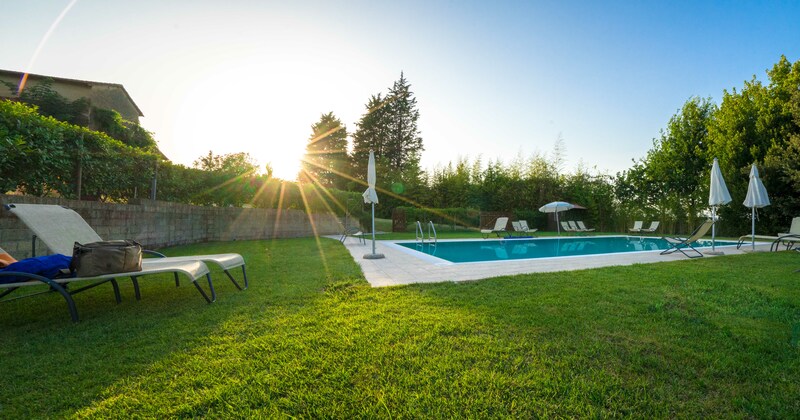 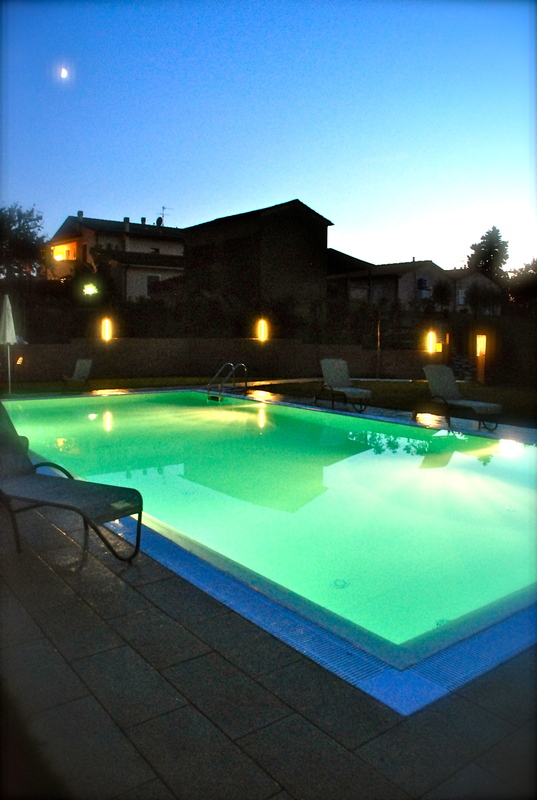 The paving around the pool is in typical Tuscan stone; the area is surrounded by a fence and typical plants, so that they also comply with safety conditions, especially for children. 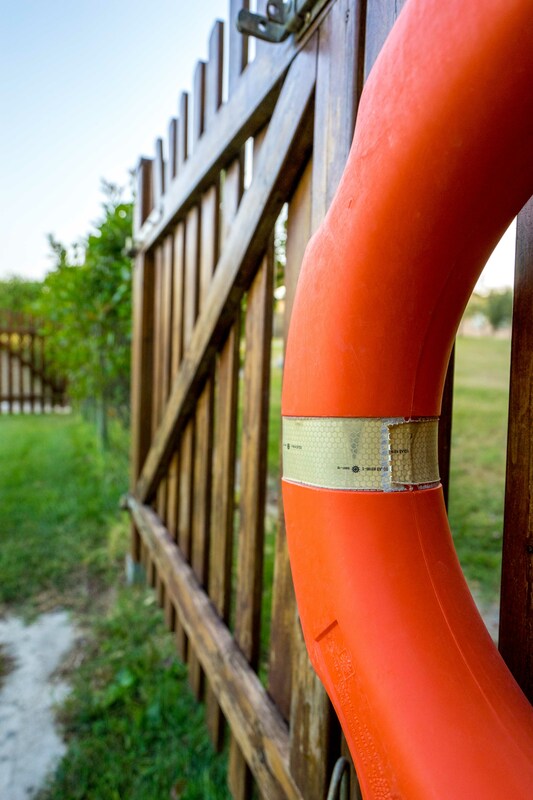 The pool is open from mid-May to early October.